Royal Caribbean International today announced the opening of Vision of the Seas’ winter 2012-13 Caribbean season for sale. Vacationers can choose among 19 Caribbean and Panama Canal cruise vacations, ranging from 10 to 15 nights and sailing roundtrip from Port Everglades in Fort Lauderdale, Fla. Vision of the Seas’ new seasonal itineraries are destination rich and visit smaller Caribbean islands less traveled by the cruise line’s larger ships. In response to customer demand, Royal Caribbean is offering Panama Canal-transit sailings aboard Vision of the Seas, all of which will dock in two very important Mexican ports, Puerto Vallarta in Jalisco and Cabo San Lucas in Baja California Sur. The Vision of the Seas can carry up to 2,000 passengers and 750 employees, which represents an important economic impact for said destinations. The four itineraries will sail through the Panama Canal, one of the largest and most difficult engineering projects ever undertaken, allowing for quicker and safer passage of ships between the Atlantic and Pacific oceans. Two 14-night Panama Canal itineraries will sail from Port Everglades and San Diego on Oct. 5 and 19, 2012 respectively. 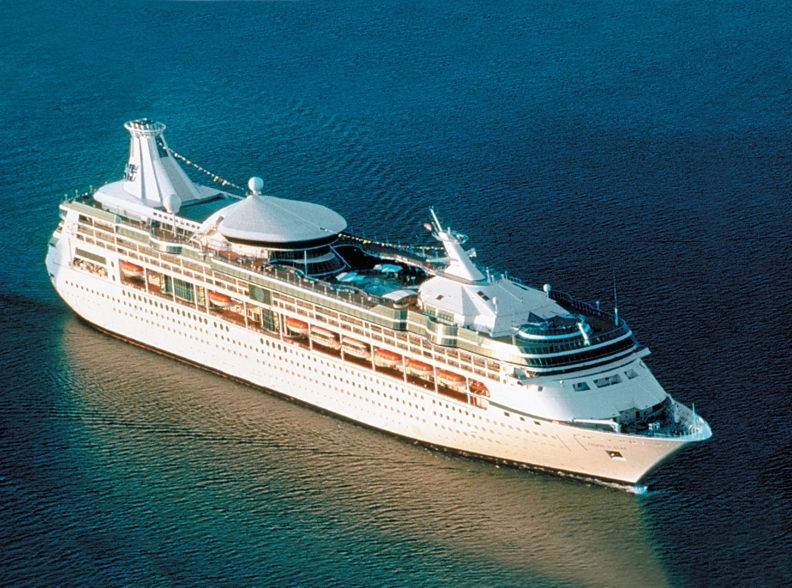 Two 15-night sailings on March 18 and April 2, 2013 also depart Port Everglades and San Diego, respectively. 10-night Eastern Caribbean itineraries features calls at Tortola, St. Maarten, Dominica, Antigua, St. Kitts, St. Croix and Martinique. Vacationers also can choose variations of an 11-night Southern Caribbean itinerary aboard Vision of the Seas, calling at Antigua, St. Lucia, Barbados, Grenada, Bonaire, Aruba, St. Kitts, Dominica, and St. Vincent – a maiden port for Royal Caribbean. On a very special holidays and New Year’s cruise, departing Dec. 24, 2012, guests will visit St. Kitts, St. Lucia, Barbados, St. Vincent, Martinique and Labadee, Royal Caribbean’s private beach destination in Haiti. Additionally, vacationers can experience the grand tradition of a trans-Atlantic crossing between the ‘old’ and ‘new worlds’ on two sailings aboard Vision of the Seas. A 14-night westbound itinerary sails on September 21, 2012, from Southampton, England, to Port Everglades, calling at Gijon and Vigo, Spain; Lisbon, Portugal; and Ponta Delgada, Azores. The 13-night eastbound itinerary sails on April 17, 2013, from Port Everglades to Southampton, England, calling at Lisbon; Vigo, Spain; and Normandy (Le Havre), a French gateway to Paris. Vision of the Seas features two acres of dazzling glass walls, offering guests sweeping vistas of the Caribbean and the landscapes surrounding the Panama Canal. Guests can try their hand at the ships’ iconic rock-climbing walls for an even more thrilling view from the ship’s highest point and choose a rejuvenating spa treatment in the Vision Day Spa. Younger guests will be entertained and enlightened in the cruise line’s award-winning Adventure Ocean and teen programming, with scheduled activities led by college-graduate counselors from 9:00 a.m. to 2:00 a.m. or later. In the evenings, guests can enjoy the cruise lines award-winning Broadway-style musical revues from Royal Caribbean Productions shows; try their hand in the Casino Royale; and reflect on the day’s experiences in multiple onboard bars and lounges over cocktails. 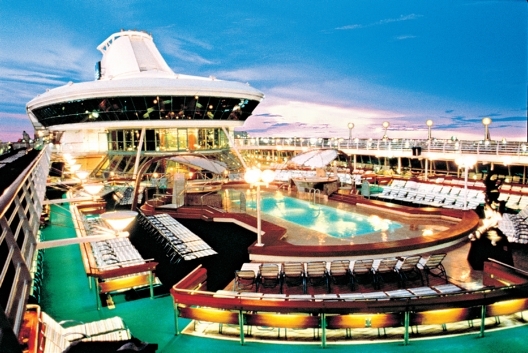 Throughout, all guests enjoy Royal Caribbean’s friendly and engaging Gold Anchor Service 24 hours a day.